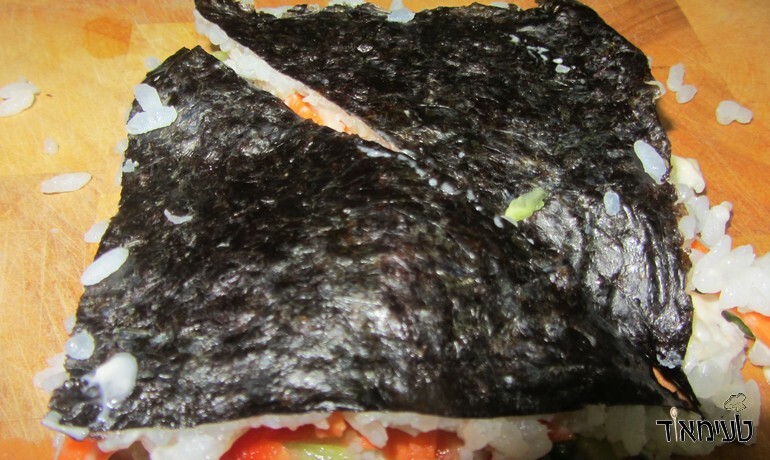 Sushi sandwich is a nice and convenient way to make sushi. 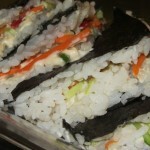 I think that the sushi sandwich is way easier to make and a lot way more fun than the original sushi roll. Anyway - here is an impressive way with which you can make your sushi sandwich and serve it alongside the rest of the sushi on the tray! Extras for the sushi! - Whatever you like! 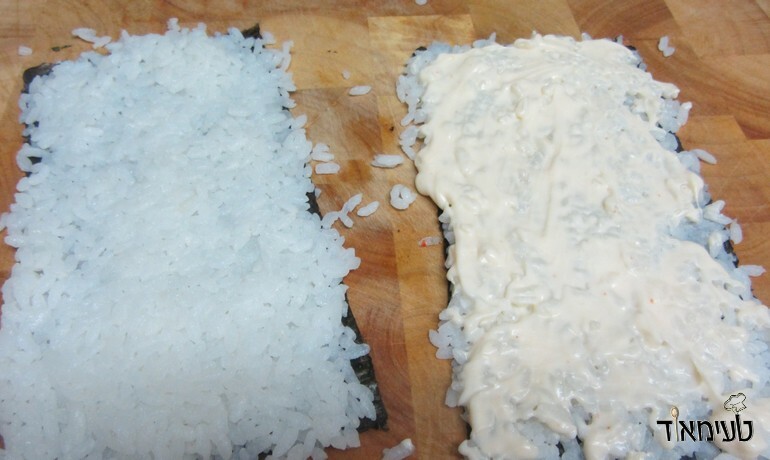 Prepare (using the basic recipe) sushi rice. 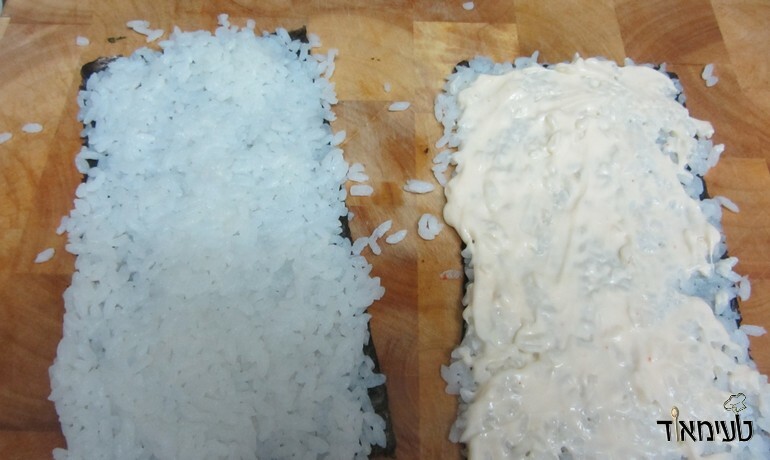 Prepare a small amount of spicy mayonnaise. 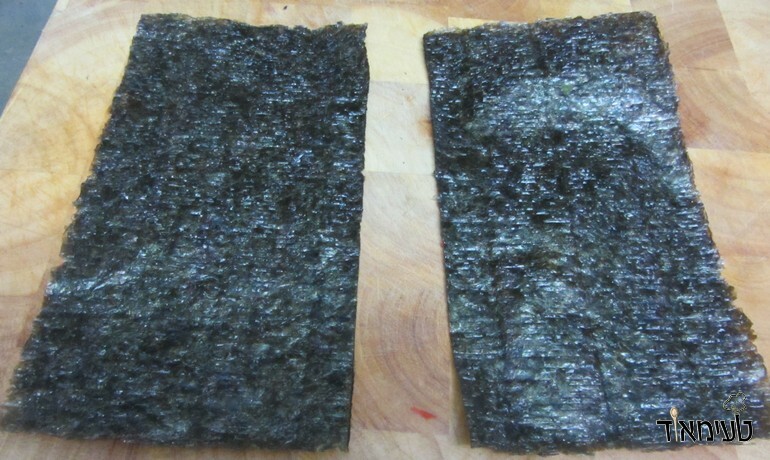 With the help of a knife, cut the fold in half – end result leaving you with two seaweed surfaces of equal size. 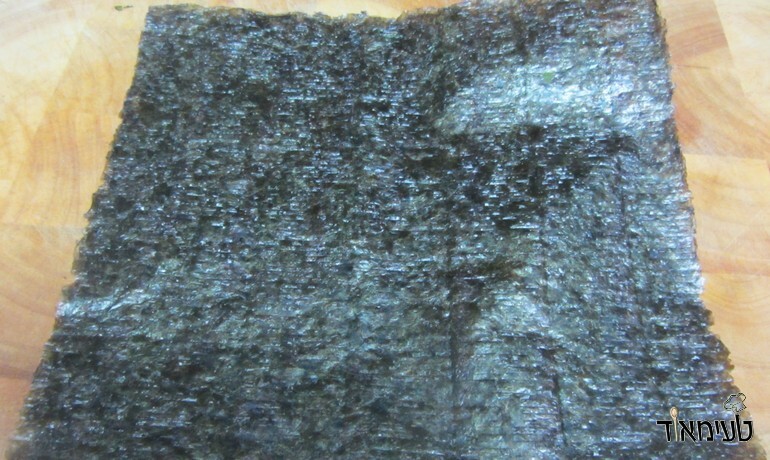 Mash the elevated rice seaweed half inches and make sure that all the acceleration will be covered. 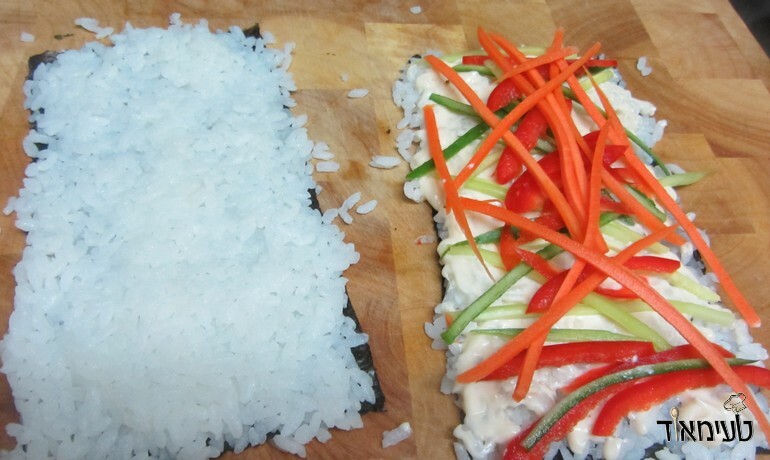 Arrange some extras (any of your choice) along the laid out rice. 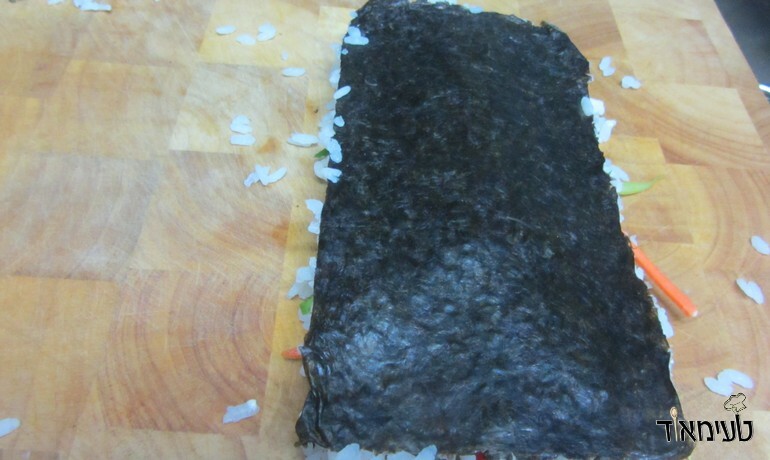 Carefully and with both hands - take the seaweed with noextras laid on it and carefully place it over the piece that does have extras. Using a slightly wet knife – cut across the middle and then once more down the middle of the squares to make two nicely shaped triangles. 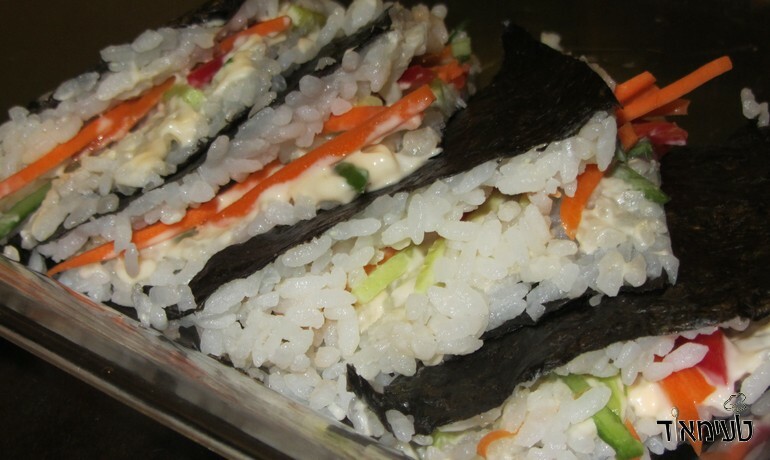 Serve with more spicy mayonnaise, teriyaki and soy. 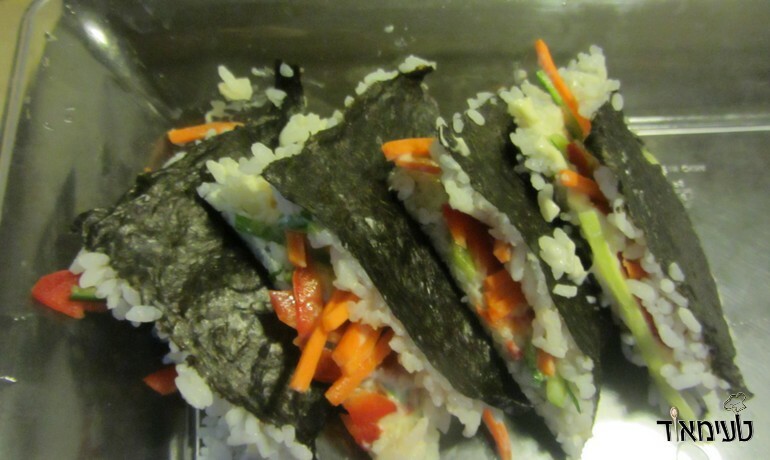 Sushi project – how to make sushi?